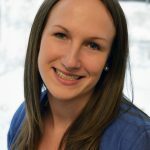 Guest post by Mackenzie Magnus of Thrive Chicago, a StriveTogether Cradle to Career Network community. Thrive Chicago is now trending in #Chicago. 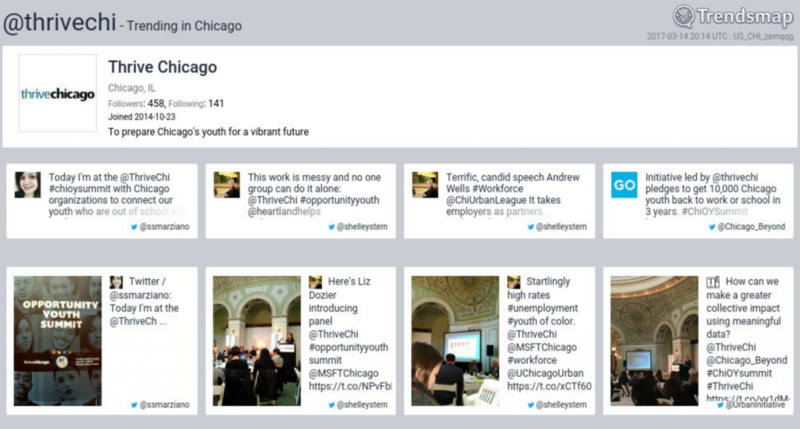 On March 14, Thrive Chicago launched the 10,000 Reconnected Campaign, a citywide initiative to reconnect 10,000 youth ages 16-24 to school or work by 2020. Although March 14 was a visible moment for this effort, the quiet and hard work of stakeholders had been underway since University of Illinois at Chicago released a report that highlighted youth joblessness as concentrated and chronic. Our young men and women of color are disproportionately affected by the lack of economic opportunity. 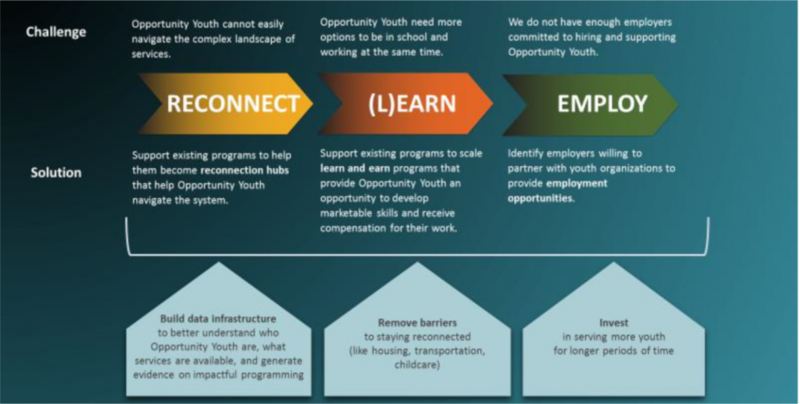 Today there are nearly 60,000 opportunity youth (OY) in Chicago. In July 2016, Thrive began to address this challenge with a group of 30-plus public and private partners. 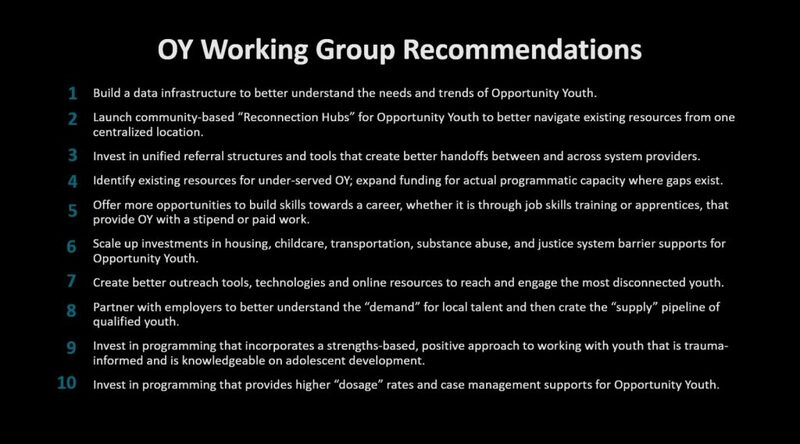 The coalition first arrived at a common definition for OY and then worked with research partners to disaggregate data to better understand who these youth are and where they live. Compared to other cities, youth of color are more likely to be out of work in Chicago. OY in Chicago are more likely to have a high school diploma than in other peer cities, yet the majority of organizations serving OY help youth who do not have a high school diploma. OY in Chicago are equally as likely to be male or female, but the majority of community-based organizations (CBOs) that serve OY provide programming for the male population. Equity was a common topic in our discussions. The data showed us that we needed to look deeper at the OY population and reduce gaps that were apparent by race and ethnicity, gender and income level. A recent Measure of America report shows this at a nationwide level; we are making strides on the overall trend line for OY, but there are still persistent gaps across demographic lines. The Reconnection Action Team will be the first to launch this May, with 78 individuals representing 52 organizations sharing promising practices in areas of outreach, intake, assessments, referrals and case management — with the ultimate goal to co-design and adopt a set of solutions. We are excited to move from planning to action with these three action teams, but we don’t plan to lose sight of the larger picture represented by those original 10 recommendations. Thrive is working with research partners such as UChicago Urban Labs, Chapin Hall, the Great Cities Institute at UIC and Northern Illinois University to bridge research, data and practice. We also are supporting partners working to remove barriers and increase economic opportunities in our communities. While it’s exciting to move from strategy to action, we are reminded by the slogan, “nothing about us without us” (a phrase coined through disability activism in the 1990s to express that no policy should be decided without our representation of those most affected). We know that this work will not succeed if we are not intentional about who is at the Thrive table, for it is not only about reducing gaps across racial and economic lines, but also about equity in the process. We are continuously more intentional about who is at the table to address these inequities to opportunity. Are those most affected by society’s complex problems the ones leading the charge? If not, they should be. For us, this means that frontline staff, disconnected young men and women, and community members directly impacted by chronic and concentrated hardships are a part of the design process. 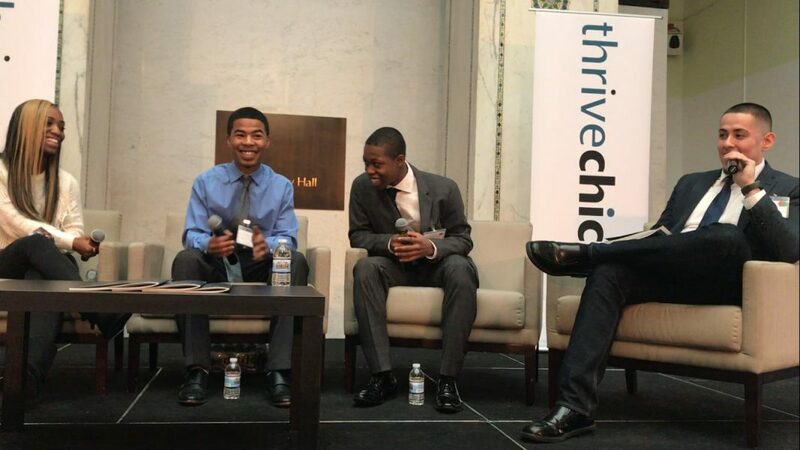 Follow @thrivechi on Twitter as we move toward action, equity and impact. Mackenzie Magnus is a research associate at Thrive Chicago, which works with public and private partners to design and drive collective interventions that are informed by the latest research and helps scale them citywide. To date, Thrive Chicago has helped thousands of Chicago youth across the city graduate high school, go on to college and find employment.